Today we pay homage to a new doctor in our center. She is Doctor Anna Esther Carrillo Fernandez and obtained her new Ph.D on February 8 after the lecture of “Mecanismos de crecimiento y desarrollo microestructural de cerámicas superconductoras texturadas”. She earned an outstanding grade for her thesis. 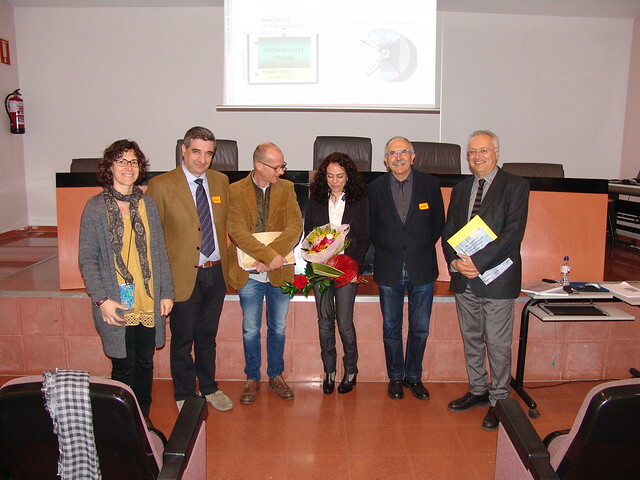 The Directors of the Thesis were Prof. Xavier Obradors and Prof. Teresa Puig and the Tutor was Catedr. J Francesc Piniella.